Why should my Company or Organization join Computational Thinking Network? Industry Partner - For profit, and non-profit partnerships that are global and locally focused, provide opportunities for rapid deployment of innovation in education - particularly in classroom settings. Professional Associations - Associations will leverage member networks and influence to provide guidance in solving critical issues in education, providing a bridge between industry expertise and the needs of our students. Funders - Align with like minded organizations to pool resources in order to address systemic challenges at a local and global level with measurable, faster, and larger impacts. Polyup provides the opportunity for students to teach the main character Poly to solve problems using math. This deep level of engagement builds (CT) math proficiency as well as the fundamentals of coding. Polyup is the result of constant iteration based on user testing hundreds of math classes—spanning 3rd to 12th grades and in both low and high-income areas. In all classes, students reviewed Polyup favorably, and many teachers were impressed by the level of engagement maintained while students were using the Polyup environment. 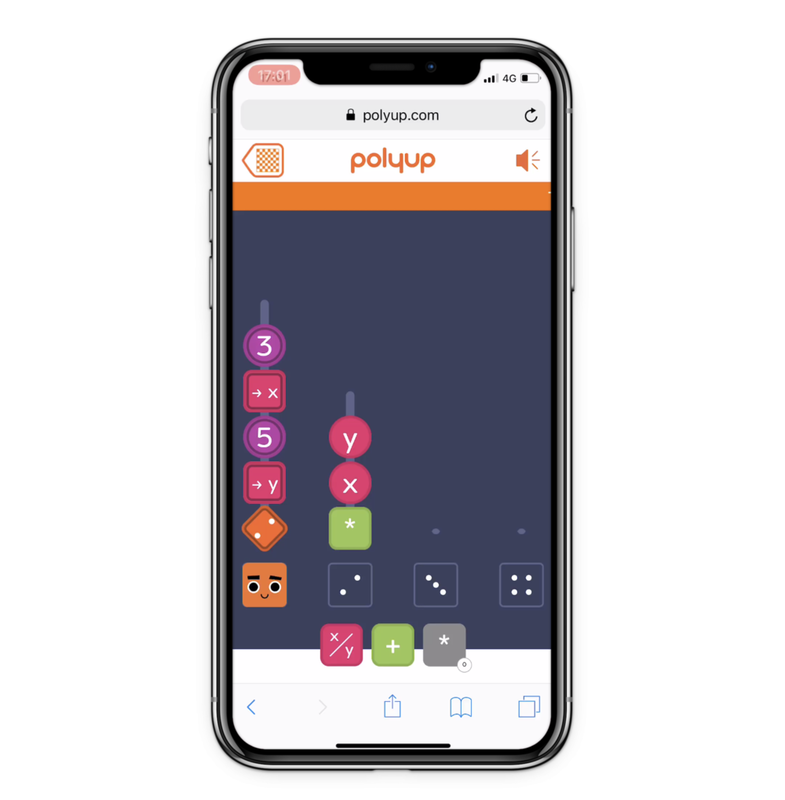 With its easily accessible and gamified environment, Polyup can help dispel negative student and teacher perceptions of mathematics and computer science. Particularly, Polyup’s experimental nature has anecdotally been shown to decrease math anxiety and foster a sense of excitement rather than stress when attacking math problems. With this in mind Polyup will add at least one chip for each common core state standard. Providing teachers with a highly engaging tool that can be used to both practice and demonstrate mastery of skills in every lesson.